Building one-on-one relationships with locals and community allies. Identify and develop community leaders committed to organizing for jobs and a fair economy. Performs other duties as assigned, including support for other programs. Prior union and/or community organizing experience. Ability to relate successfully to individuals of all races, nationalities, religions, genders, sexual orientations, income levels, educational backgrounds and occupational groups. Prior experience in grassroots organizing, electoral field work and/or community coalition building. Demonstrated ability to work long hours, independently, under stress and tight timelines. Fluency in Spanish as well as English is preferred, but not required. Must have a car, driver’s license and insurance; cell phone with email capability. Salary $45,000 Majority employer paid medical, dental and vision benefits for employee and family; holidays, sick leave, vacation; pension and 401(k). 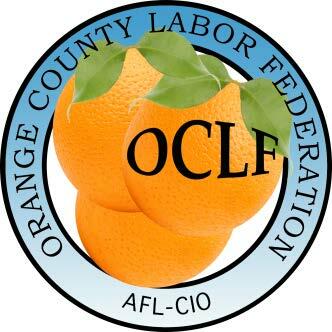 Email your résumé, cover letter and references to Joline Cruz at: Joline@oclabor.org.